In 2018 I managed to finish reading 72 books. I know people who read way more than that, but I doubt I’ll be able to match that number this year. Still, it’s been a good year in reading so far, and I wanted to mention some excellent books I’ve read this month. 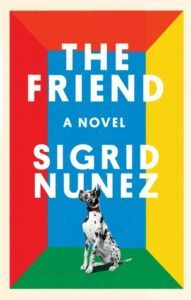 I also liked The Friend by Sigrid Nunez very much. 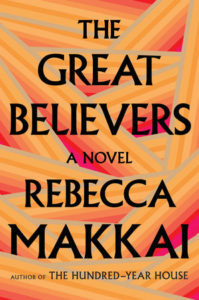 It won the National Book Award for fiction last year, but I think its appeal is narrower than Makkai’s novel. It deals with a woman writer whose male friend and former writing teacher has died by suicide, leaving behind a wife and two ex-wives as well as a Great Dane. The book’s narrator takes the dog in and the dog helps her to cope with her grief over the loss of her friend, whom she loved more than she admits. Editors will tell you that books about writers don’t sell, so I guess this will be the exception to that rule. 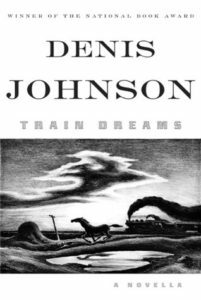 Train Dreams by Denis Johnson is a short novel about struggle—against nature, the landscape, and progress. Johnson was an amazing writer and I enjoyed this tough book. The main character is a laborer—he spends part of the book working on railroad bridges—who faces hardships, but is by no means perfect. 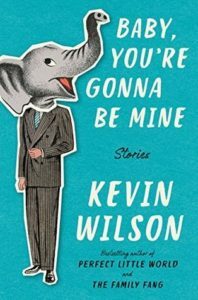 Baby, You’re Gonna Be Mine by Kevin Wilson is a 2018 story collection. I’ve read Wilson’s other books—I first met him at the Sewanee Writers Conference—and this is typical for him. The stories are offbeat, sometimes funny, always devastating. Some real gems here. 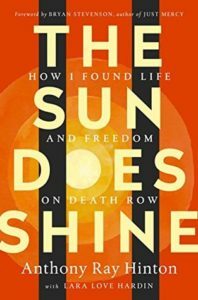 The Sun Does Shine by Anthony Ray Hinton is horrifying. Hinton, a black man from Alabama, was convicted of a murder he did not commit and spent 30 years on death row until with the help of Bryan Stevenson (Just Mercy) he was finally exonerated. There’s no question that this was a form of lynching—the authorities were willing to string up any black man for the crime, evidence be damned. 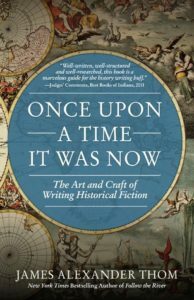 Once Upon a Time It Was Now by James Alexander Thom is a book about the craft of writing historical fiction. Mostly Thom is emphasizing the value of research which will help the author to “get it right,” but there are also some good general writing tips. 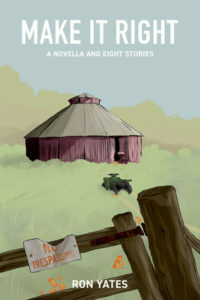 Make it Right by Ron Yates (ARC) is a novella and short stories set in Yates’s native Alabama. It’s a fine collection and I was honored that Ron asked me to provide a pre-publication blurb. It’s due out in April 2019.